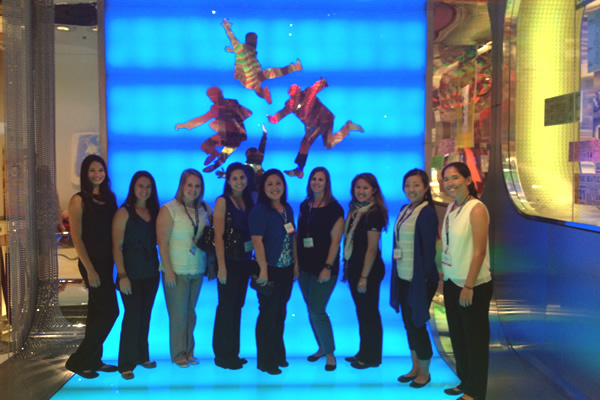 The Young Professionals Committee organized two field trips during the FWATA Annual meeting in Las Vegas. The first was a trip to meet the athletic training staff of the “Love” Cirque Du Soleil show and get behind the scenes tour of their facility. The second event was to Xtreme Couture MMA, which is a gym that MMA fighter Randy Couture operates. Attendees also got a tour of the facility and both groups learned about the medical requirements in these non-traditional job settings.